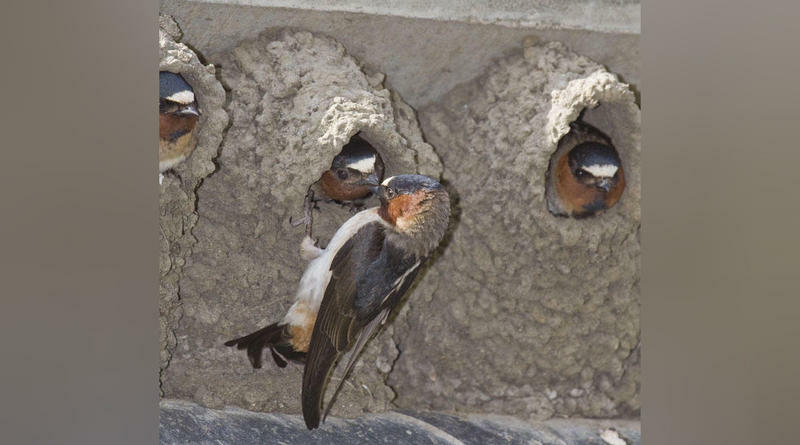 Cliff swallows nesting under a bridge. The colonial nesting birds are often found on cliff faces in the western U.S. In South Carolina, you will often find them under bridges.